I was heartened recently my two op-eds I read in area newspapers regarding industrial-sized wind turbines in the mountains of Western North Carolina. The reasoned commentaries were written by individuals with firsthand knowledge of science, the scientific method, Appalachian history, energy emissions and the environment. “As a physicist and longtime environmental advocate, I believe we need aggressive and meaningful changes in our state and federal energy policies. This urgency, though, shouldn’t mean we abandon critical thinking — in fact, it says the opposite. Citizens should be adamantly opposed to the “let’s do anything, just for the sake of doing something” mentality. We simply can’t afford to be wasting time, money and effort on illusionary solutions — like some of the energy alternatives being promoted by lobbyists and others with self-serving agendas. I remember when NIMBYs like the ones who spoke out against Three-Mile Island were environmental heroes – after all, isn’t the environmental mantra, “Think globally – act locally?” What could be more local than the mountaintops in our backyard? As environmentalists we should not simply be seeking alternatives – we should be seeking “better” alternatives. The easiest way to see Droz’s commentary (as you have to search the archives at the Asheville Citizen-Times) is to Google John Droz wind power citizen-times. 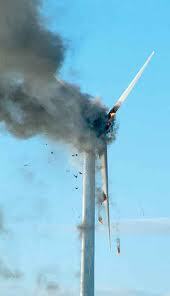 To see Erb’s piece go to http://www.mountainx.com/opinion/2010/052610wind_power_or_hot_air.